Check out Tobi's Beth Faux Fur Corduroy Jacket When corduroy and faux fur join forces, it's a magical winter combo too gorgeous for words. 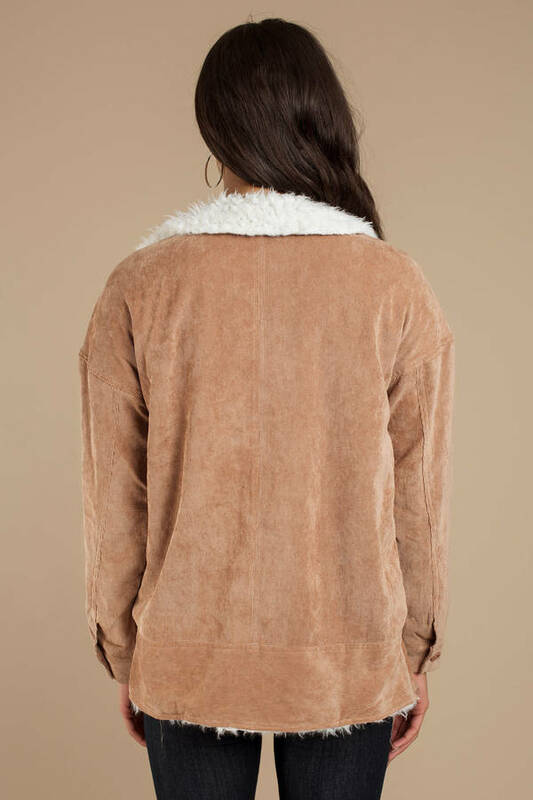 Introducing the Beth Camel Faux Fur Corduroy Jacket, a biker jacket with fur collar featuring a relaxed fit, large faux fur lapel, stunning corduroy, and front zipper. For all the best winter feels, pair this faux fur jacket with tight jeans and pointed boots. When corduroy and faux fur join forces, it's a magical winter combo too gorgeous for words. 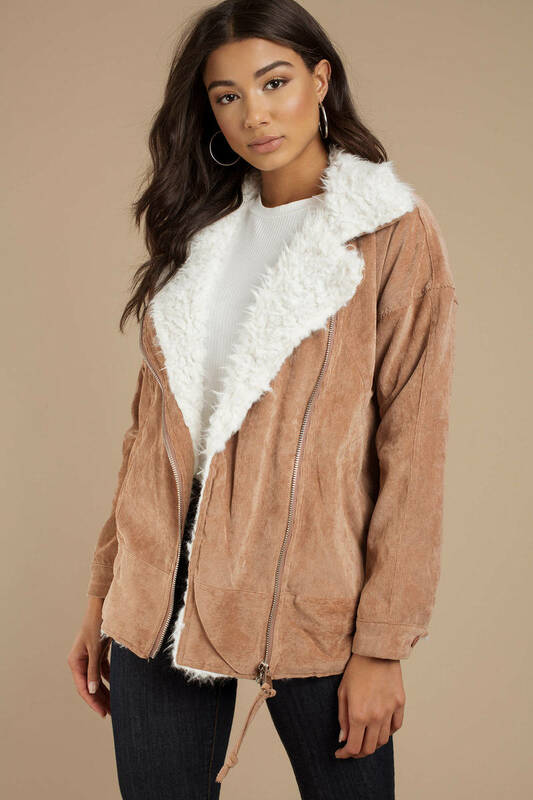 Introducing the Beth Camel Faux Fur Corduroy Jacket, a biker jacket with fur collar featuring a relaxed fit, large faux fur lapel, stunning corduroy, and front zipper. 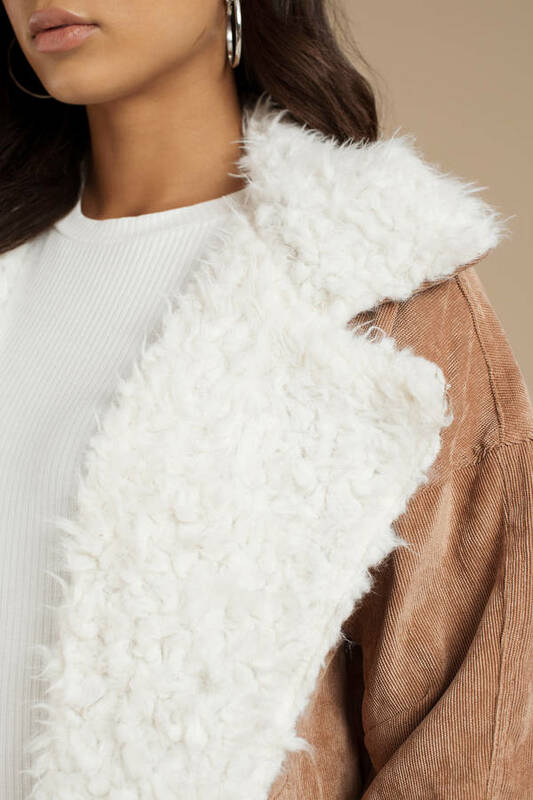 For all the best winter feels, pair this faux fur jacket with tight jeans and pointed boots.